Newcastle United won their fourth home game in a row inflicting a first defeat since Boxing Day to Burnley. Newcastle United moved seven points clear of the relegation zone as they comfortably swept aside Burnley. The Magpies scored two first-half goals thanks to a fantastic long-range strike by Fabian Schar as well as Geordie boy Sean Longstaff. Burnley only had two shots on target all game as Newcastle's defenders were solid and organised all game. Rafa Benitez seems to have eventually found a formation that suits the players he has at his disposal that can see his side play in two different ways. The Magpies have adopted a 5-4-1formation without the ball and then a 3-4-3 when on the attack. This formation has become successful since the turn of the year as the players have learned their roles and how to get the best out of the formation. 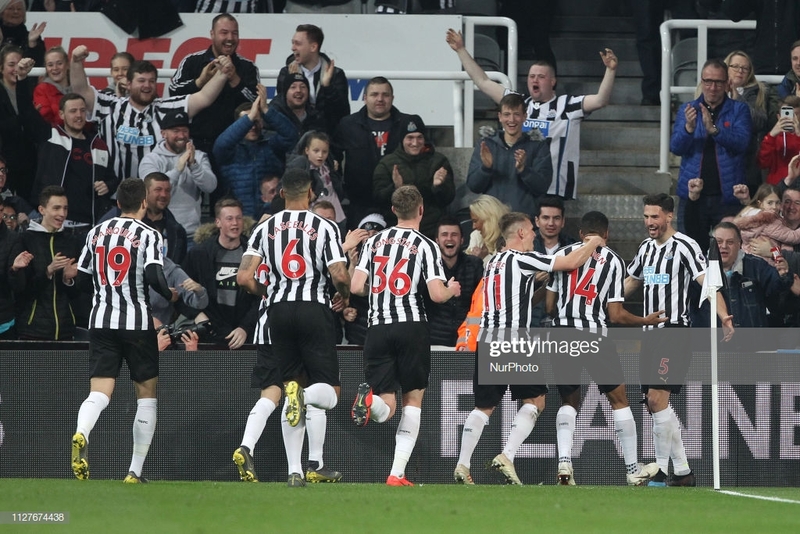 Miguel Almiron, Salomon Rondon and Ayoze Perez are perfect for the way Benitez wants the Magpies to play with pace and creativity out wide and a physical presence up front. Burnley could not handle having to mark wing-backs as well as two wide players which gave the Magpies plenty of room on the wings which is where both of their goals came from. Since the academy graduate made his debut against Liverpool he has gone from strength-to-strength in each game. Longstaff has been superb in the absence of Ki Sung-Yeung and Jonjo Shelvey as he passes the ball about intelligently and keeps the team moving up the pitch. The 21-year-old dominated the Burnley midfielders last night keeping possession as well as getting his first goal in the Premier League. Longstaff was forward thinking all game and helped drive the Magpies forward to a dominant win. The Switzerland international has three goals this season with two of them being sensational goals both against relegation rivals. Schar can act as a third midfielder the way he drives with the ball out of defence and plays the ball forward. The central defender helps ease the pressure on Isaac Hayden and Longstaff to pick out a killer pass into the final third when the opposition is pressing high. Schar dominated Chris Wood, Ashley Barnes and Peter Crouch as well as getting the first goal of the game which could be a contender for goal of the season.